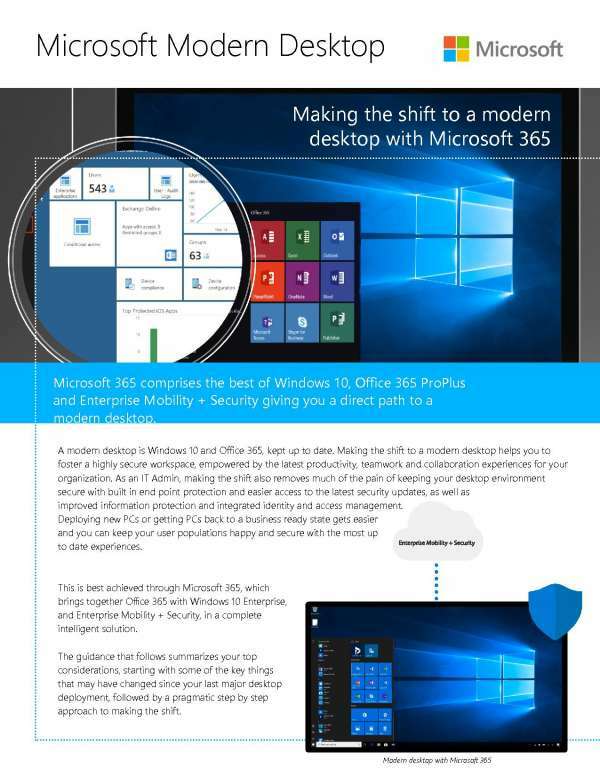 Making the shift to a modern desktop removes the pain of keeping your desktop environment secure with built-in protection and easy access to security updates. With a solution like Windows 10, you can improve information protection and integrate identity and access management. If you're considering deploying new PCs or getting PCs up to standard, consider doing so with Kilobytes Data Solutions Inc.. We have years of experience bringing desktops up to par with the latest digital security solutions. If you'd like to learn more about how to plan, implement, and optimize your IT assets, contact us today to learn how.